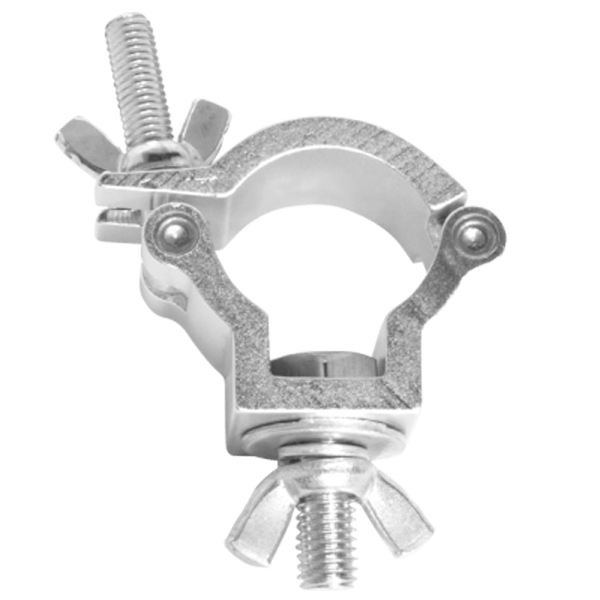 CLP-35HC is a heavy duty aluminum clamp designed to fit the TRUSSTÂ® Arch and Goal Post truss kits and other major brand 35mm truss. With a load capacity of 165 lbs (74.8kg), the clamp securely mounts almost any type of effect light, wash light, laser or moving head to your truss system. For added safety and stability, the clamp wraps completely around 35mm truss.